While I usually do my Healuxe Beauty introduction posts every Sunday, this week I wanted to shake things up a bit and introduce you to two brands for the weekend. Today's introduction is for Elucx, an amazing organic skincare company located in Quebec. 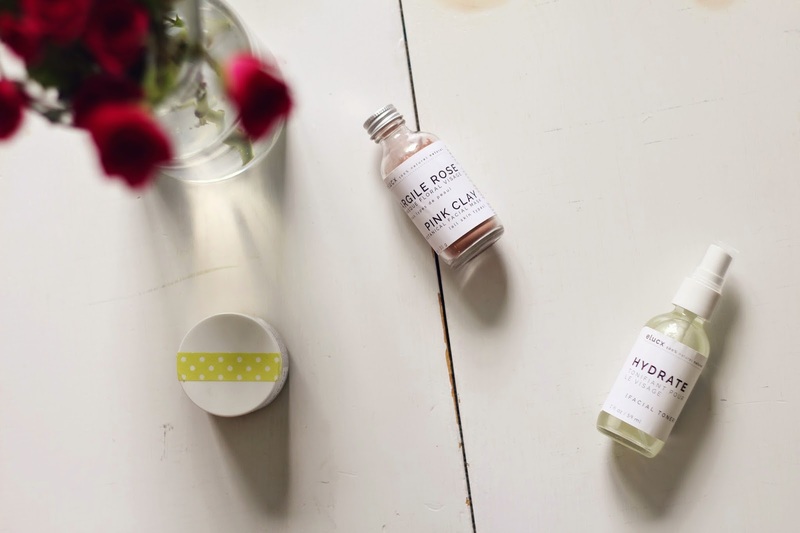 The company was started by Duyen Nguyen who began making her own skincare to help relieve her daughter's discomfort with eczema. She researched all kinds of healing and soothing natural ingredients and has used only the best of the best in her products. Everything from the line is completely 100% natural and created in small batches, ensuring each product has the most fresh formulation available. I already did a short rave about the line's amazing Miracle Balm and how it helped cure my sunburn. With ingredients such as Organic Olive Oil, Organic Calendula Flower Extract and Organic Chamomile Flower Extract this balm is perfect for curing and soothing any sort of skin irritation. More recently I've been using it on my incredibly irritated bug bitten skin (yeah, my skin is not having a great start to summer) and have found that it helps the redness and irritation immensely. Along with the Miracle Balm, I also have been testing out a mask and toner from the line. Elucx carries a few different mask formulas to help with various skin types, so I picked out the Pink Clay Botanical Face Mask which is perfect for any and all skin types, including sensitive. The mask comes in an all powder formula that you can simply mix with a bit of water to create a paste. This particular mask includes ingredients such as Kaolin Pink Clay, Organic Rose Flower Powder and Frankincense Essential Oil which all help to not only gently clear up congested skin but also to give you a rather glowing complexion. I personally love this mask because of how gentle it is - French Pink Clay is much more mild than most other clays found in masks so it's wonderful for clearing up the complexion without causing any unnecessary irritation to my sensitive skin. Lastly, I tried out the Hydrate Toner from the line, a best seller that helps to simultaneously cleanse and moisturize all skin types. I'm pretty picky when it comes to choosing toners because I have found that many formulas completely dehydrate my already dry skin. Because of that I was really interested to see a more hydrating toner that contains ingredients such as Aloe Vera, Potassium Sorbate and Rose and Lavender Distillate Waters. I truly fell in love with this guy because it is not only incredibly cleansing (it helps remove any leftover makeup that might still be on your face after a cleanser) but it truly does live up to its name as a hydrating formula. I love being able to spritz a little bit of the formula onto my face halfway through the day to be able to freshen up my makeup and bring a little bit of moisture to any dry spots. It's a perfect all-rounder and one that I will definitely be repurchasing for myself in the future. There are so many more great products from this line that I'm really excited for you all to try out. The formulas, products and ethics of the brand are so wonderful and I'm truly thrilled to be able to sell it over at Healuxe Beauty.